Conferencing is a unique endeavour to explore opportunities in connecting with the businesses of the same orbit within the targeted market. Sanskriti Vacations offer professional management solutions to the conferencing requirements in Agra while you are exercising to select an opt conference venue in India. Agra provides an striking combination of work & vacations while you are in city of Taj Mahal. Conferences help in bringing businessmen together and contribute to a perfect opportunity to connect with businesses of the targets market area. Our team of professional experts is always ready to ensure a successful & seamless conferencing opportunity using their expert processes & time-tested knowledge in organising a successful of conference. 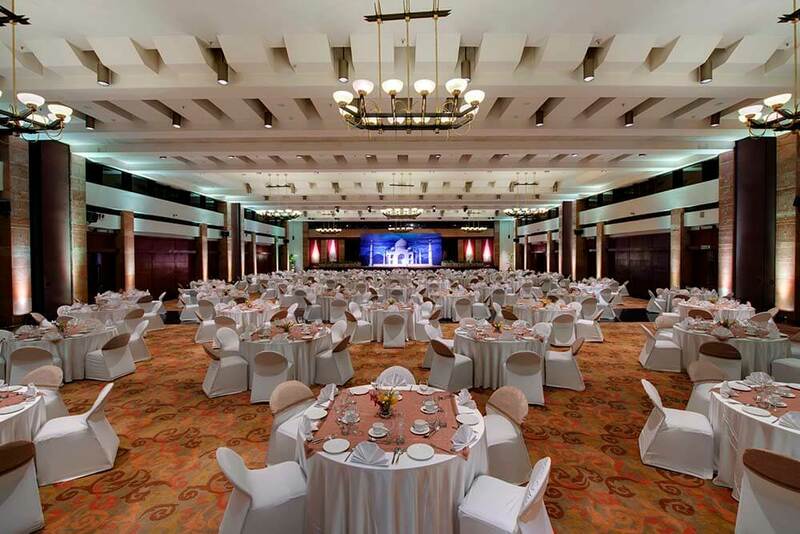 We offer dependable management of conference logistics including on spot attention with regard to all the technical equipment's coupled with in place backup plan in case of exigencies too. 1. Hotel Jay Pee Palace & Convention Centre.